Solarfast Black Mulch Paint is the ideal solution for adding color back to your faded mulch or for adding a whole new color to your mulch. It works on a wide variety of mulch including cedar, cypress, hardwood, pine straw, and even rubber mulch! 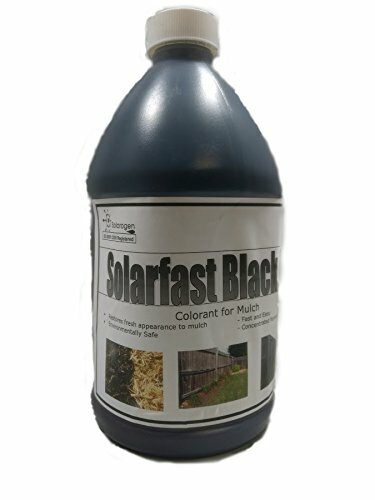 Solarfast Mulch Paint can be applied with the use of any type of garden or lawn sprayer and starts to work as soon as its applied.